During this centenary period, communities across Australia are conducting an array of locally based or family centred projects to commemorate and honour their men that enlisted and fought during the First World War. In this section we feature some of these projects and are able to see the soldiers personal stories set in context to the impact it had to their families and in their home towns. 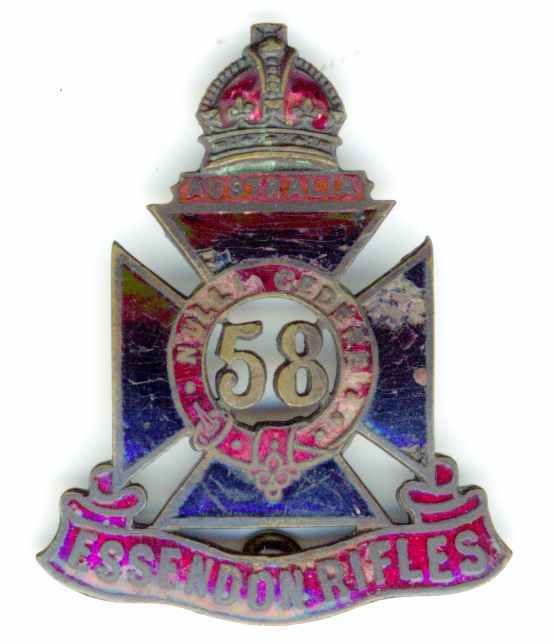 Given the focus of ‘Following the Twenty-Second’ the projects listed below contain members of the 22nd Battalion, but also men from the community that fought in other battalions and units during the Great War. In April 2014 Maryanne Martin facilitated a conversation with the inhabitants of the small Victorian community of Condah and Wallacedale about its collective experience during World War 1. The result was that it helped participants learn more about what happened in this community during the war and uncovered the stories of those who served in the war, as well as those who stayed at home. The conversation was hosted by Heywood RSL sub-branch and was made possible through the Anzac Centenary Local Grants Program. The stories can be read in the accompanying booklet, plus Ryebuck Media produced a short film presented by Tim Gurry called ‘Walking in the Footsteps of the Condah Anzacs’ and is part of the Centenary School Links Program that links schools in Australia with schools on the Australian Remembrance Trail in France and Belgium. 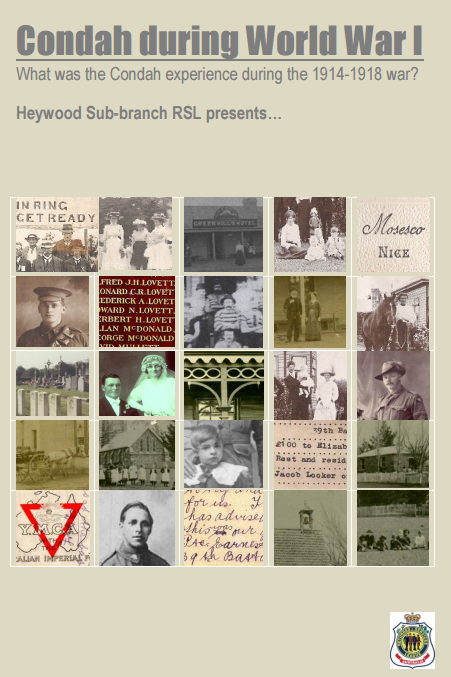 The database and website, which went online in 2009, has been created by local amateur historian Lenore Frost to capture as much information as possible on the hundreds of soldiers that enlisted in the Essendon area of Melbourne. Amongst this group are over 150 men that would be assigned to the 22nd Battalion. Lenore’s research has focused on local records not readily available to people that do not live locally for example from Honour Rolls, church records, local history publications etc to recreate the war-time community of that time. Included within the project are photograph collections and albums from personal collections of the soldiers from the area. April, 1915. He is part of the Battle of Krithia and Lone Pine where his best mate, and V.C, Alex Burton is killed. William’s 2 brothers, Tom and Joe, enlist in 1915 in the 21st Battalion and 22nd Battalion. 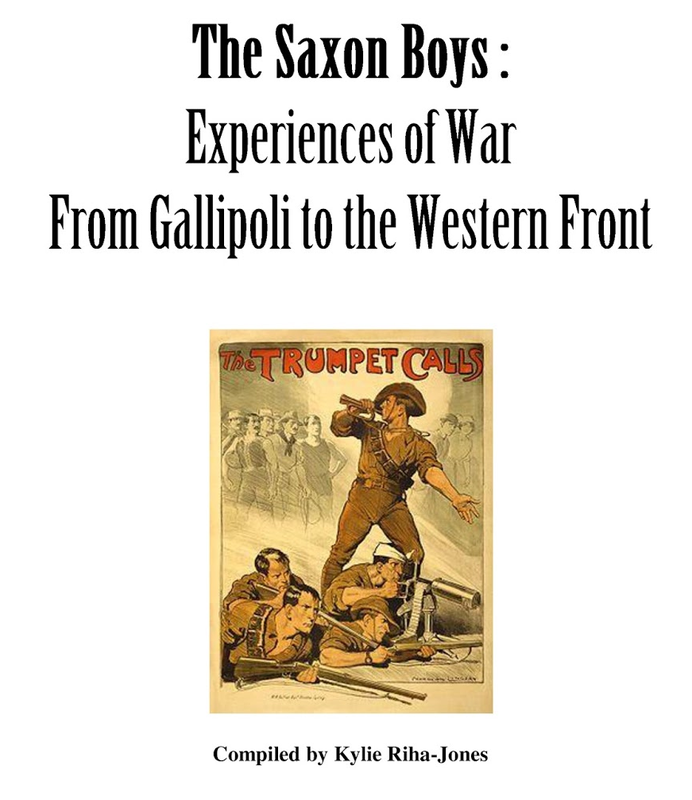 All three Saxon’s survive Gallipoli and go on to the Western Front. A fourth brother, Bert Saxon enlists in 1916. He joins the 2nd Pioneer Battalion. At Pozieres in 1916 William is wounded and Joe killed in action. The following year Tom is badly wounded at Bapaume. Bert is serving nearby and continues on. On the last day in which the Australians fought (5/6th October, 1918) Bert is killed at Montbrehain. This is their story, their letters and their experiences. It is the story of ordinary civilians, footballers, musicians, cadets who then became soldiers. Behind the scenes are their families and friends from the Euroa district, including Violet Town and Longwood who watched and waited from afar. Within the book are 150 soldiers featured from the district. As was the case for many of their generation, those that fought in the Great War often remained silent about what they endured, leaving it to their families of the internet generation to discover and tell their individual stories of bravery and sacrifice. One such group of amateur historians keen to discover what their town’s folk did during the First World War were the residents of Macarthur and Byaduk in Western Victoria. 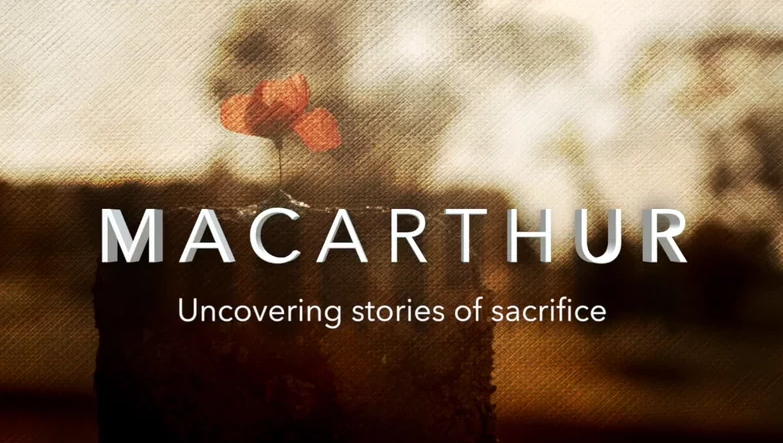 The Victorian Government along with Polygraph Productions has created a short film telling the story of two families of men that fought and died with the 22nd Battalion – Cecil Twist and Frank Bunworth – uncovering their own personal stories of sacrifice, and set within the historical context of Australia in the First World War. This is an original remembrance project consisting of photos of soldiers and nurses who went from the Mansfield District, Victoria to serve in the Great European War of 1914 – 1919. Each photograph is accompanied by a brief sketch of their services in the Australian Imperial Forces, including such information that was available at the time such as distinctions and honours won, the names of famous battles in which these men fought, wounds, and for some the place and date where they paid the ultimate sacrifice. Amongst those remembered are Pte H Evans, Pte JM Foots, Dvr F Splatt, Pte JNO Stillman, MM, & L-Cpl WP Yelverton of the 22nd Battalion. Across Australia memorials were erected in parks, local schools, halls, churches and offices acknowledging the commitment made by the community to the military forces and to remind us of those we have lost to war. Of the 100,000 Victorians that enlisted in WW1, 597 came from across the Surf Coast Shire. Produced by Cheryl Baulch, this commemorative project ‘Together They Served’, collates and brings together in one place all such memorials and provides a short bio and insight into the men from the towns and villages of Surf Coast that served during the Great War.